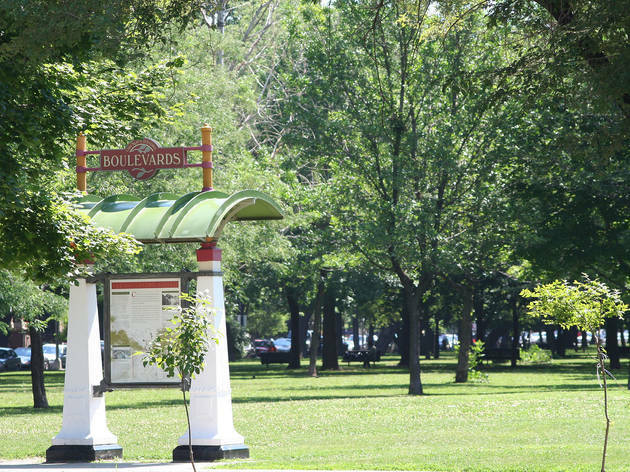 Julia de Burgos Park is one of the major access parks to the 606, the Bloomingdale Trail exit for Humboldt Boulevard, Palmer Square and Logan Square. 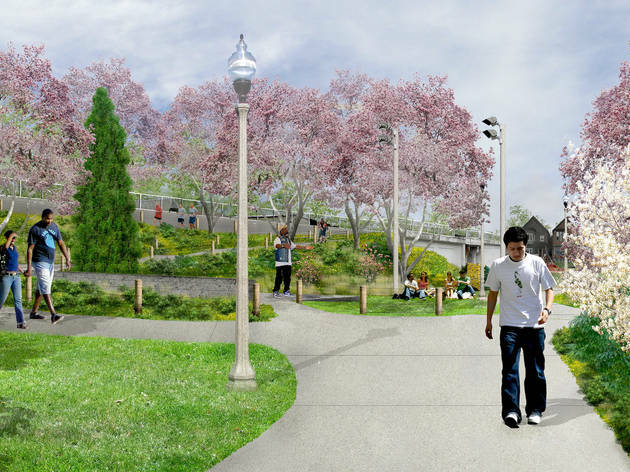 Hop off the elevated Bloomingdale Trail park into more parkland at this vital entrance to the 606. 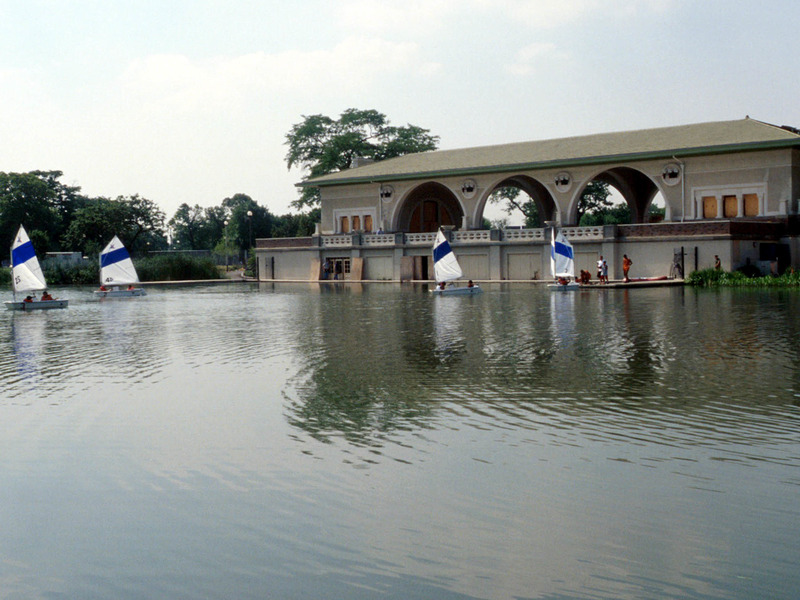 Head down Humboldt Boulevard to the lagoons, trails and trees of sprawling Humboldt Park. 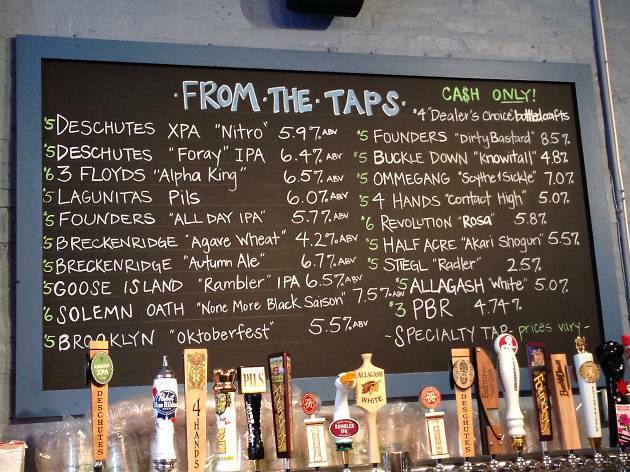 This is the best exit off the 606 for the Logan Square neighborhood, which lies due north. 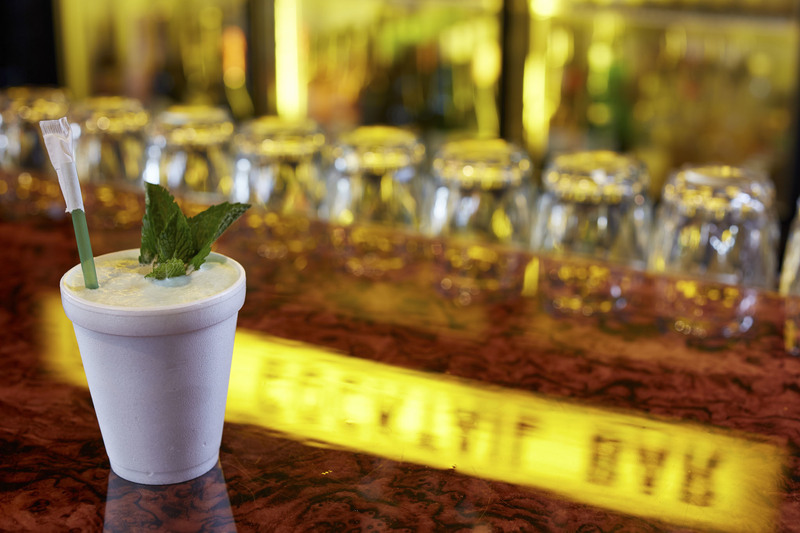 Seek out the outdoor bar and patio at Parson's for kicking back in the summer… or ice skating in the winter. 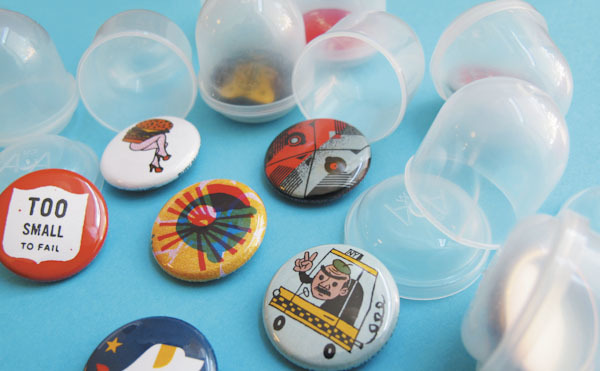 For over a decade, Busy Beaver has been keeping denim jackets and messenger bags sharp with cute craft buttons. 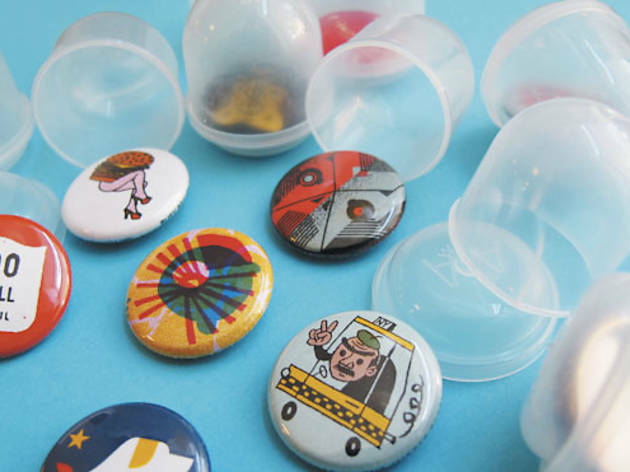 Visit the company's headquarters to buy some coin-sized buttons for your lapel, or browse button history at the Busy Beaver Button Museum. 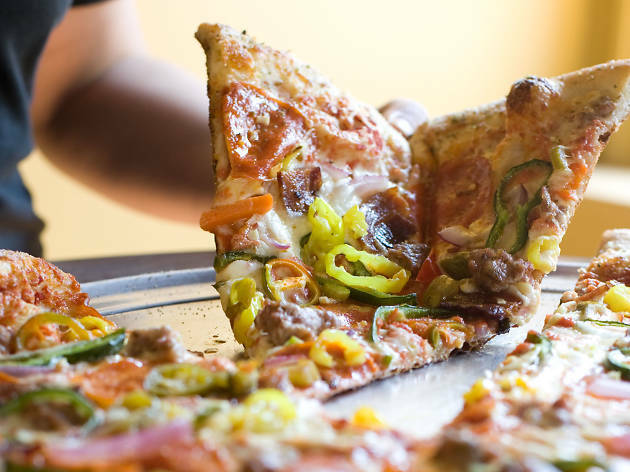 Welcome to the “Nine Levels of Hell”: poblano peppers, pepperoni, giardiniera, bacon, fresh garlic, jalapeño, sausage, red onion and banana peppers, together forming the “Inferno.” This pizza sounds terrifying, but, trust us, it won’t hurt. 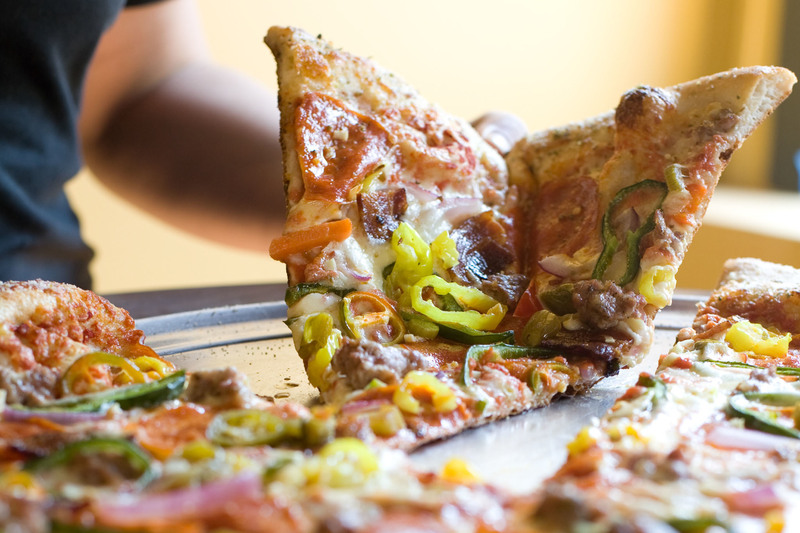 The heat’s present but mild-mannered, the thin crust is pleasantly chewy, and the thing is huge. The pizzas have more going for them than the bare room they’re served in. Part showroom, part workshop, part storefront, Department of Curiosities is in a league of its own. 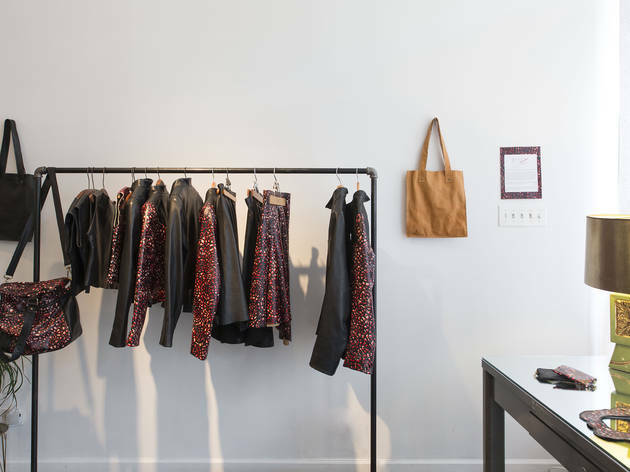 Originally intended to be a shared studio space and morphed into a Logan Square shop. Both designers embrace "slow fashion," emphasizing quality over quantity, and aim to make the process of design and sewing interactive and transparent to their customers. 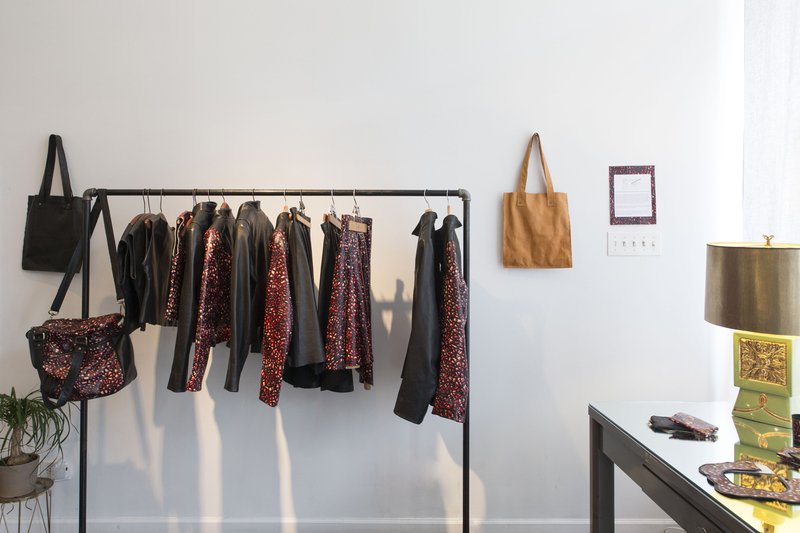 Expect to find leather goods from Production Mode, and structured garments and hand stitched corsets from Morua, all made in-house. 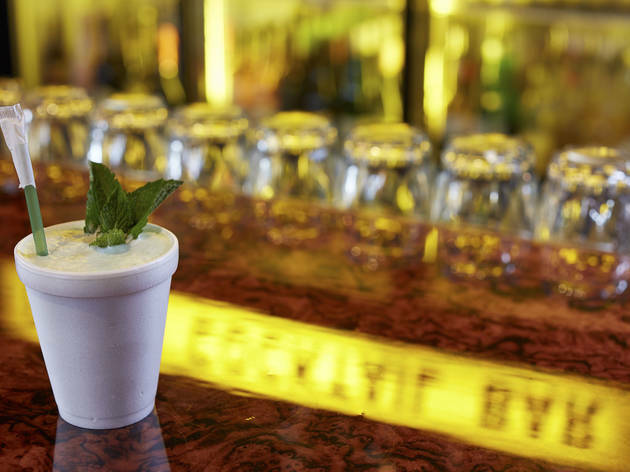 Tucked away in one of the far corners of Logan Square, this combination bar and liquor store is one of the neighborhood's best kept secrets. 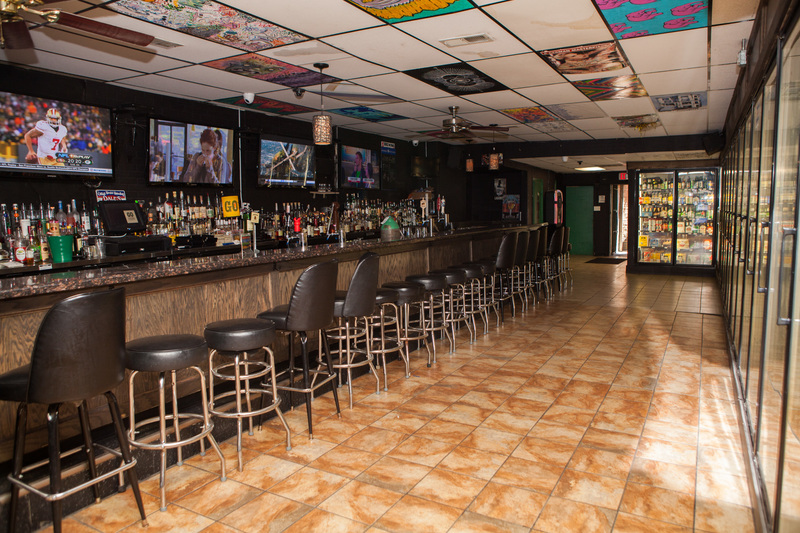 Formerly known as Dorothy's Liquors, manager Mike Stellatos changed the bar's name and menu while retaining some of its divey charm (including ceiling tiles decorated by regulars). 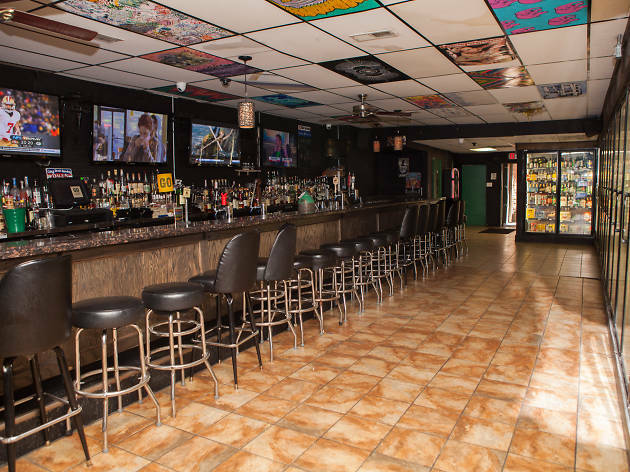 Sidle up to the bar to peruse the affordable selection of craft beers or grab a six pack from the coolers and bring the party back to your couch. This no-frills sandwich shop, appended to the corner liquor store that shares its name, is something of a hidden gem. Order up a basic but tasty sub, featuring a range of meaty combos tucked into supremely crusty bread, and head across the street for lunch with a side of Humboldt Park loveliness, or stick around and wet your whistle with a selection from the 20-strong rotating draft list. Designed by William Le Baron Jenney in the mid-1800s and enhanced several years later by Jens Jensen, Humboldt Park was once the nation’s greatest public park, boasting acres of Prairie-style gardens, grazing animals and a meandering river scene. Though the animals are long gone, the park still offers extensive rose beds as well as tennis courts, an inland beach, baseball fields and bike paths. 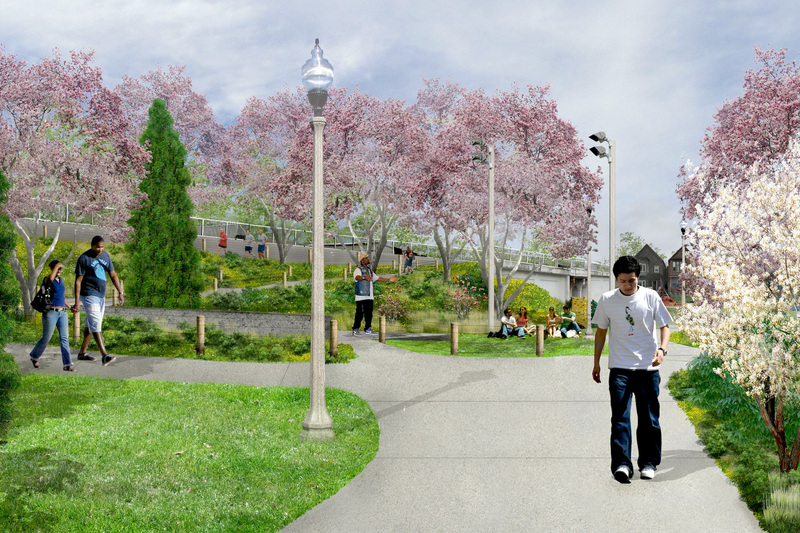 Located just north of Humboldt Park, Julia de Burgos Park serves as an access point for the 606. Named for a Latin American poet, the park features a climbing web, a spider sculpture and a sitting wall. 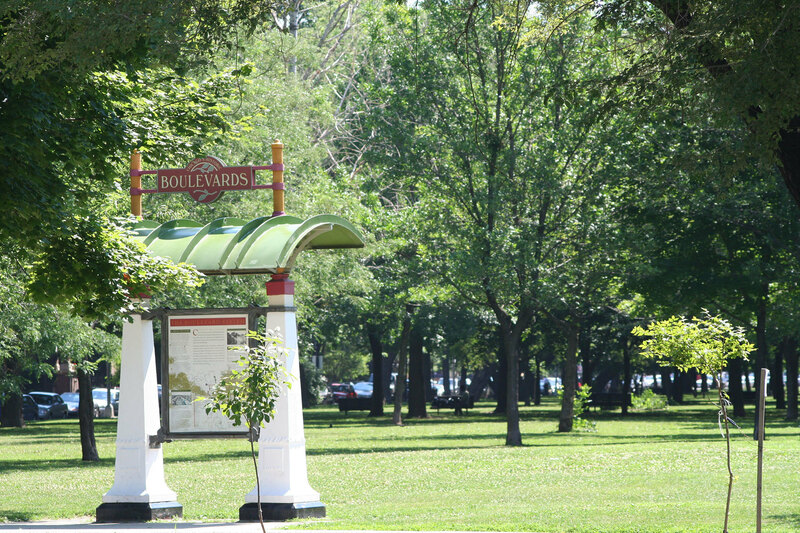 Named for the 15th Governor of Illinois, John McAuley Palmer, this seven-acre park located between Logan Square and Humboldt Park dates back to the creation of the boulevard system in the 1870s. Palmer Square was a popular spot for cyclists (or "wheelmen") in the early 1900s, though you're now more likely to find runners on the track that circles the park's perimeter. Kids will appreciate a playground inspired by the classic book The Velveteen Rabbit. 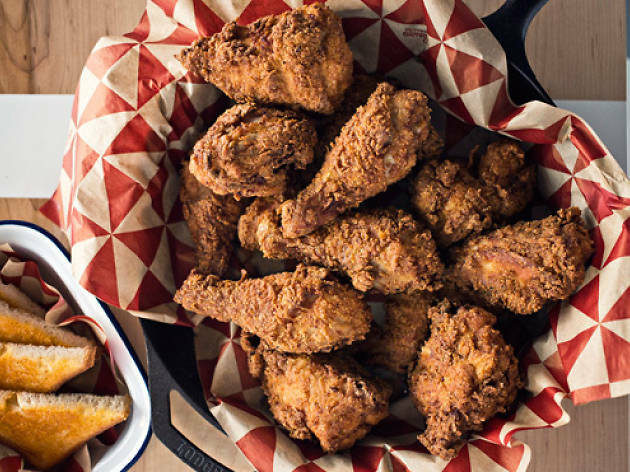 Parson’s feels like a casual backyard barbecue, albeit one thrown by that pal with a killer booze collection and an eclectic assortment of friends. 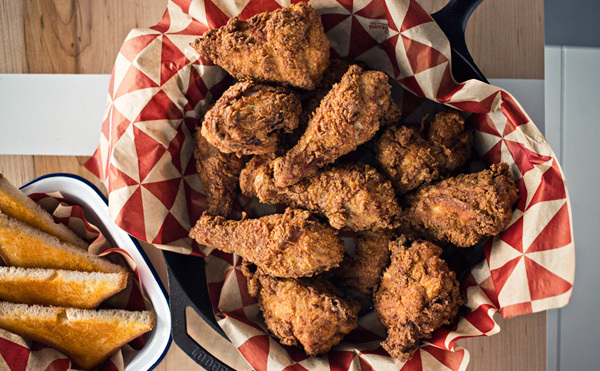 It comes from the Land and Sea Dept., the team behind Longman & Eagle, which knows how to make a space with personality. The awesome patio holds everyone from tattooed couples clutching cans of cheap beer to newborns and their moms and their moms. There is a reason the Negroni slushy gained instant fame: This is a damn fine Negroni, frozen or otherwise.